In 1840's London, esteemed surgeon Dr. Thomas Bolton (Boris Karloff), who is renowned and respected by his peers for both his speed and his efficiency, is trying to find a way to perform painless surgeries. You see, in those days before anesthesia, anyone needing an operation or limb removed were simply strapped down to a table and forced to undergo the painful procedure completely conscious, which often led to some nasty psychological complications later on. At his home-lab, Dr. Bolton begins experimenting with nitrus oxide and other chemicals he thinks may alleviate pain, using himself as a guinea pig and keeping notes of all his findings in a small notebook. When he thinks he's made a breakthrough, he presents his findings to the medical board and is humiliated when things backfire and his patient freaks out. He returns to his lab and decides to begin experimenting with opium. Unfortunately, he's already created too much skepticism from his peers, who've put a block on his access to chemicals and refuse to let him do another demonstration on his findings. 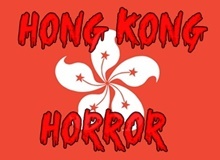 Even worse, after dozens of times inhaling the opium compound, he's become a pathetic drug addict who's quickly losing his surgical skills and suffers from blackouts and periods of amnesia. Whilst on the chemical, Dr. Bolton stumbles into a rowdy tavern in the grotty Seven Dials district and gets hopelessly immersed in the schemes of several shady characters who have been selling suspiciously fresh corpses to the same medical college Bolton's son Jonathan (Francis Matthews) attends. 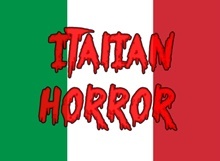 Burly tavern owner Black Ben (Francis De Wolff), with help from his lover Rachel (Adrienne Corri) and a facially-scarred thug named Resurrection Joe (Christopher Lee) have been killing the drunken and destitute who wander into the establishment. They get their hands on Dr. Bolton's medical notes and blackmail him into signing the death certificates of their victims. Bolton eventually finds himself hiding out there in a back room, carrying on with his experiments and slowly succumbing to both his addiction and delirium, while the authorities (led by Nigel Green) start closing in. Despite the fact this wasn't released until four years after it was made and often on a double bill with the fun if inferior Werewolf in a Girl's Dormitory (1961), this is a very well made period horror-drama with top notch sets, a strong screenplay and excellent performances. It's an especially good showcase for Karloff, whose well-intentioned character always manages to engage our sympathies even when he's hopelessly siding with evil. Watching the actor go from a driven and caring doctor to a weakened, drug-addled, mindless shadow of his former self is one of the major reasons to see the film, but there's also good work from De Wolff, Corri and much of the rest of the cast. In support, Lee; tall, lean, strikingly dressed in a tophat and all black attire and often standing silently in the background, makes the most of his role as a remorseless killer. The cast also includes Betta St. John as Karloff's daughter-in-law, Finlay Currie as a colleague, Basil Dignam as the hospital board chairman and a young Yvonne "Warren"/ Romain as an abused barmaid. Day also made the Karloff vehicle The Haunted Strangler (1958) for the same company (Amalgamated Productions). Criterion picked the film up for distribution and have put out an excellent quality DVD with plenty of extras. They also released it as part of a "Monsters and Madmen" box set, which includes the two Karloff/Day collaborations as well as Day's First Man Into Space (1959) and the sci-fi / thriller The Atomic Submarine (1959). The popular Thriller series hosted by horror legend Boris Karloff ran from Fall 1960 to Spring 1962 on NBC and made an impact on lots of kids during its day, including a young Stephen King, who has called it "the best horror series ever put on TV." Unfortunately, of the 60+ episodes that were made, only six of them were officially released. This one, along with "The Incredible Doktor Markesan," "Masquerade" (also directed by Daugherty), "The Prediction," "The Premature Burial" and "The Terror in Teakwood" were all issued (separately) on VHS in 1996 by MCA/Universal. And sadly, that was it. Even though some (bootleg) sites offer the entire series on DVD-R, this has yet to see the legitimate box set release it so deserves. 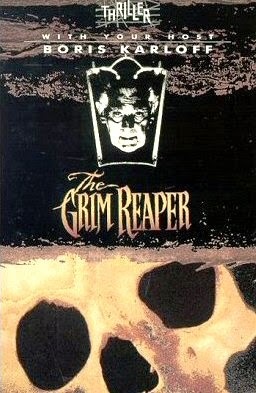 "The Grim Reaper" (which aired June 13, 1960 and was the 37th and final episode of the first season) was directed by prolific TV director Herschel Daugherty, who directed 16 episodes of the show and even more episodes of Alfred Hitchcock Presents. This one's also noteworthy for featuring William Shatner in an early starring role. Shatner and Daughtery would also work together on an episode of AHP that very same year, as well as several episodes of Star Trek in 1966. "Someone is in mortal danger as sure as my name is Boris Karloff!" In 1848 France, Pierre Radin (Henry Daniell) shows up at a boardinghouse looking for his reclusive artist son, only to find he's hung himself and left behind a painting of a skeletal Grim Reaper brandishing a scythe. Over a hundred years later, wealthy mystery writer Beatrice Graves (Natalie Schafer) is living up to her eccentric reputation by surrounding herself with offbeat things. She lives in a has a creepy old mansion, drives around town in a hearst and has just recently purchased the Grim Reaper painting at an auction to hang over her fireplace. Bea's not exactly the upbeat type; she's got a drinking problem and her latest husband, much-younger actor Gerald Keller (Scott Merrill) seems to have eyes for her secretary Dorothy (Elizabeth Allen) instead of her. In comes concerned nephew Paul (William Shatner), who wants to share some information about the painting, which is believed to be cursed. The past fifteen owners have all died unexpected, violent deaths and it's rumored that the painting bleeds whenever someone's about to die. When an inebriated Beatrice is found dead at the bottom of the stairs and it's revealed that Gerald has inherited everything, is it murder, is the story about the painting being cursed true or is it perhaps a combination of factors at work? One of the most fondly remembered of all of the episodes in the series, and boasting one of the creepiest endings as well; solidly scripted by Robert Bloch (complete with some black comedy, a couple of decent twists and even an Addams Family reference) and nicely acted. Daniell and Karloff (the stars of the 1945 Val Lewton-produced classic The Body Snatcher) unfortunately do not appear in any scenes together here. Daniell appears for just for a few minutes during the opening scene and Karloff only has hosting duties in this one. 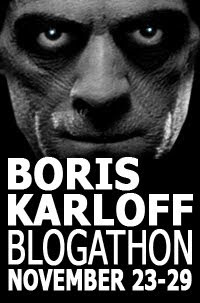 In celebration of Boris Karloff's 122nd birthday, a wonderful site named Frankensteinia: The Frankenstein Blog has decided to host a "Boris Karloff Blogathon" and are encouraging fellow film buffs, horror fans and/or admirers of the actor to participate in honoring the horror legend this week. 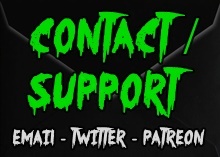 If you have a movie blog, happen to stumble upon this and would like to contribute something, please make a trip to the link above, send them an email and sign up. 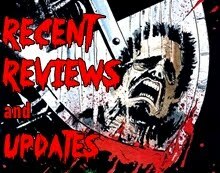 Unfortunately, I probably won't be able to do a ton of reviews this particular week (got family coming in from out of town), and much of Karloff's work falls outside the years this particular blog covers (1950 to 1990), but I'm aiming to see at least three Karloff films I've yet to see. 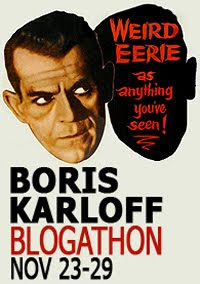 The blogathon ends November 29th, so the more Boris shout-outs, the better. I'm going to start my dedication with a brief bio and filmography and go from there. Born William Henry Pratt on November 23, 1887 in Camberwell, London, England, Boris Karloff would go on to become one of the most respected, admired and acclaimed actors of all time; arguably the best to appear with regularity in horror films. Sadly, he himself never realized his importance or influence as a performer during his own lifetime, having a self-deprecating sense of humor about it all (he's been quoted as saying "My wife has good taste. She has seen very few of my movies!") After a spell at London University, Karloff emigrated to Canada in 1909, spent around ten years with a touring company and eventually settled in Hollywood, where he worked as a truck driver and sidelines player in silent features. He appeared in such films as THE BELLS (1926; his very first horror feature) and THE UNHOLY NIGHT (1929) before being offered a contract with Universal Studios. After the death of Lon Chaney and Bela Lugosi's refusal to play the role after his success in DRACULA, Karloff was offered the role of the monster creation in James Whale's timeless classic FRANKENSTEIN (1931) and delivered a multi-layered performance that shocked both critics and audiences; giving the hulking mass of strewn together body parts an unexpectedly disarming child-like quality. Whale used him again as a sinister butler in his great black comedy THE OLD DARK HOUSE (1932) and he was the first actor to portray THE MUMMY in a talkie that same year in Karl Freund's atmospheric film of the same name. Karloff would return to England to play another Mummy-like role as an Egyptologist back from the dead in THE GHOUL (1933) and make his first of many subsequent films with fellow horror star Lugosi in 1934's THE BLACK CAT, which allowed him the chance to play one of his most despicable characters; sadistic devil-worshipper Hjalmar Poelzig. Karloff would go on to reprise the role that made him famous several more times, most notably in Whale's outstanding follow-up, BRIDE OF FRANKENSTEIN (1935), where he gave a brilliant, touching and relatable turn as an unloved, misunderstood and outcast member of a shallow and judgemental society. After the genre went into decline after Bride, he made spotty appearances in a few decent horror films and thrillers (most notably doing an outstanding job portraying good/bad twin brothers in 1935's underrated period horror-drama THE BLACK ROOM) and was in great form again playing a club-footed torturer to Basil Rathbone's Richard III in TOWER OF LONDON (1939). In THE MAN THEY COULD NOT HANG (1939), his wronged scientist avenged his death at the gallows by luring judge and jury to his home and then murdering them off one-by-one. The late 30s also saw him playing Chinese master-sleuth James Lee Wong in a series of five films, beginning with MR. WONG, DETECTIVE. The 1940s saw a brief resurgence in horror (which died out again by 1946), but Boris managed to headline three excellent Val Lewton-produced chillers, where he gave notable villainous turns in ISLE OF THE DEAD (1945; playing a Greek general), THE BODY SNATCHER (1945; as a murderous grave-robber in one of his very best roles) and BEDLAM (1946; as Master Sims, sadistic asylum master). The 50s saw lots of TV work, two Abbott and Costello horror comedies and more turns as evil-doers, mass murderers and mad doctors. In THE STRANGE DOOR he was more or less wasted playing a manservant torn between doing the bidding of his evil master and helping out a young couple. In 1952's THE BLACK CASTLE he portrayed a similar conflicted supporting role as a murderous doctor. 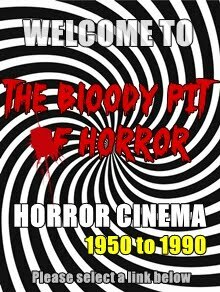 Other horror roles this decade include playing a skeptical scientist in VOODOO ISLAND (1957), a Jekyll and Hyde-like figure in THE HAUNTED STRANGLER (1958), the titular mad doctor in FRANKENSTEIN - 1970 (1958) and a well-intentioned but drug-addicted surgeon who makes an unholy pact with grave robbers in CORRIDORS OF BLOOD (1958). In the 60s, Karloff was cast as a sorcerer in Roger Corman's horror spoof THE RAVEN (1963), appeared in Mario Bava's seminal horror anthology BLACK SABBATH (1963) in the chilling "The Wurdulak" segment (his only vampire role; he also hosted the American release version of the film), played Nahum Witley in DIE, MONSTER, DIE! (1965), one of the very first films based on an H.P. Lovecraft story and provided the voice of Boris von Frankenstein in the animated kiddy film MAD MONSTER PARTY in 1967. Toward the end of his career and in ill health, Boris gave an affecting and very knowing performance as aged horror star Byron Orlok, a character patterned more or less after himself and believes fictional horrors are no competition for real-life ones, in Peter Bogdanovich's impressive debut film, TARGETS (1968). 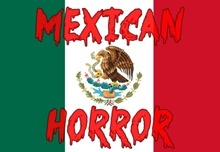 Mr. Karloff wrapped up his long and distinguished career with four pretty awful U.S./Mexican genre films, where he shot his footage in California to be incorporated into footage shot south-of-the-border. Having appeared in around 70 horror features, Karloff cemented his reputation by appearing on and/or hosting numerous horror/mystery television shows, including Boris Karloff Mystery Playhouse, Out of This World, Suspense, Tales of Tomorrow, Thriller and The Veil. In addition to his screen highlights, Karloff received acclaim for his stage performances in Arsenic and Old Lace and The Lark (receiving a Tony nomination the latter) and was one of the founding members of the Screen Actor's Guild. I've seen Jack the Ripper, The Veil, Die, Monster Die! and Targets but haven't gotten around to doing the reviews for them just yet. Some of the titles listed are from the shows Thriller and The Veil, but were released in the U.S. as features on video so I'm including them here.